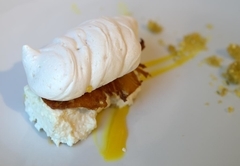 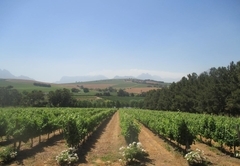 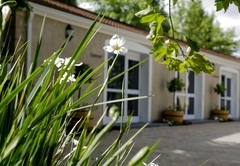 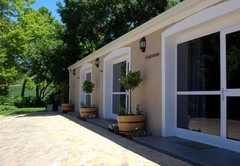 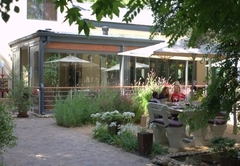 Clos Malverne Wine Estate Accommodation is one of the Stellenbosch guest houses and provides accommodation in 10 guest rooms for tourists visiting the Cape Winelands region. 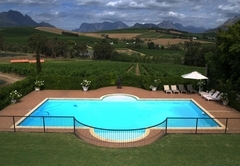 Clos Malverne Wine Estate Accommodation offers three luxurious guest bedrooms as well as a self catering cottage in the lovely area of Stellenbosch. 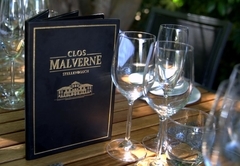 When staying at Clos Malverne you are only a 30 minute drive away from the Cape Town International Airport. 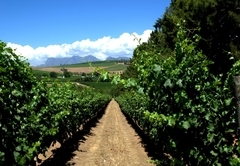 Surrounded by vineyards and close to many great attractions and activities, you couldn’t choose a better spot to explore the Cape Winelands. 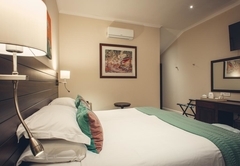 Each stylishly decorated bedroom is equipped with a flat screen TV with satellite channels, air-conditioning, free Wi-Fi and spacious bathroom. 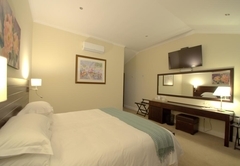 King size bed, bathroom with walk in shower, kettle, fridge, comfort chairs and side table, ottoman, large cupboard, garden chairs (outside room). 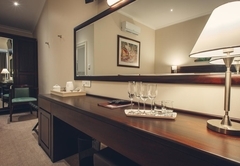 In addition to the above it has a bidet in the bathroom and a desk with chair in the room. 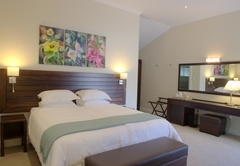 King size bed, bathroom with walk in shower, kettle, fridge, comfort chairs and side table, ottoman, large cupboard, garden chairs (outside room). 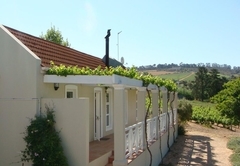 In our Vineyard Cottage you will experience a distinct atmosphere, an air of tranquillity and charm not readily found today. 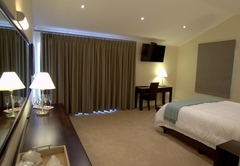 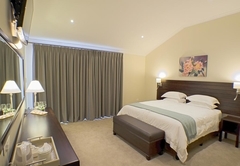 We provide quality accommodation, ensuring the comfort and well-being of all our guests. 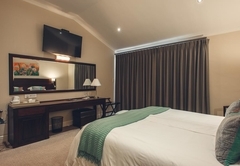 The cottage boasts 2 en-suite bedrooms, a fully equipped kitchen, dining room, lounge with fireplace, patio with bbq area and front stoep with breath-taking views The cottage is equipped with: flat screen TV with satellite channels; air-conditioning & free Wi-Fi. 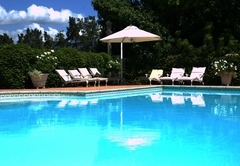 While here you can make use of our on-site restaurant and day spa or simply lounge next to the lavish private pool. 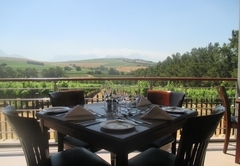 Guests are invited to enjoy a languid afternoon on the wraparound balcony, where you become one with nature with the vineyards in front of you. 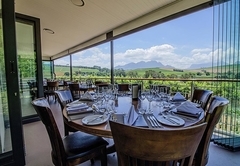 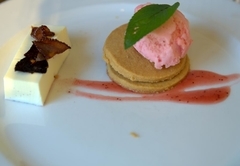 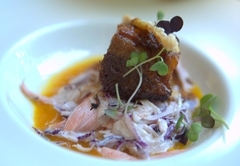 Award-winning wines, a diverse, world-inspired menu and priceless views combine at this highly recommended restaurant. 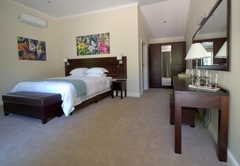 King Size bed, bathroom with walk-in shower, kettle, fridge, comfort chairs and side table, ottoman, large cupboard, garden chairs (outside room). 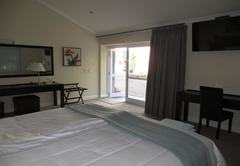 In addition to the above it has a bidet in the bathroom and a desk with chair in the room. 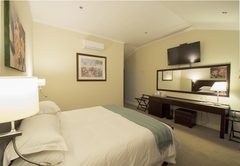 King Size bed, bathroom with walk-in shower, kettle, fridge, comfort chairs and side table, ottoman, large cupboard, garden chairs (outside room). 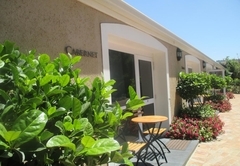 Response timeClos Malverne Wine Estate Accommodation typically responds to requests in 5-10 minutes.